The Broward County Commission unanimously voted for Commissioner Dale V.C. Holness (District 9) to serve as Vice Mayor today at its Reorganization meeting. The Broward County Charter stipulates that Commissioners, elected from single member districts, vote annually in November for the position of Mayor and Vice Mayor. 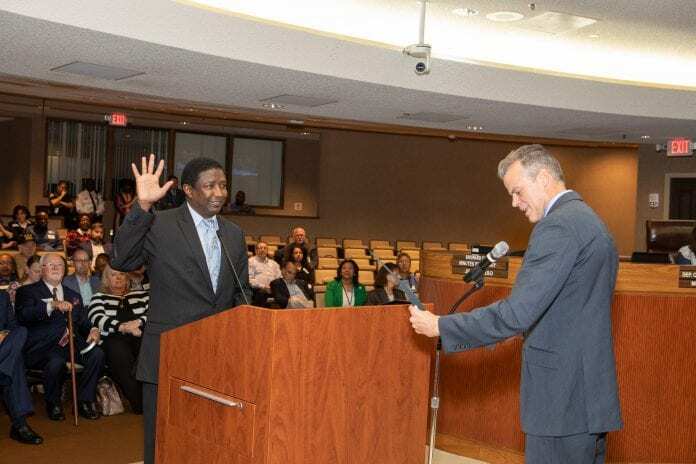 Vice Mayor Holness was elected in 2010 to represent residents living in Broward County’s District 9, which includes a population of approximately 215,000. Prior to being elected a Broward County Commissioner, he served as a City of Lauderhill Commissioner from 2004 to 2010, during his terms as a Lauderhill City Commissioner, he served as Vice Mayor twice, 2007, 2010, respectively and started the Lauderhill Chamber of Commerce and established the Lauderhill Business Incubator. A practicing real estate broker for over 30 years, he is the President and CEO of All Broward Realty. He is a well-known advocate for small, minority and women-owned businesses, fair wages for workers, improving and providing economic development opportunities for all, and home ownership. His global advocacy includes positioning Broward County as the center for international trade with the recent success of the Florida International Trade and Cultural Expo (FITCE) held October 17-18, 2018 with representation from 54 countries and over 1200 people in attendance. Vice Mayor Holness worked for many years to bring the event to Broward County with the inaugural FITCE occurring in 2015. “Thank you Mayor Furr for your hard work this past year and doing a great job representing Broward County. Thank you to my colleagues for your vote of confidence. I will continue to speak for those who are not represented and underrepresented, champion for the small and minority business owners, our senior citizens, giving people second chances with the adult civil citation program, which I was able to pass earlier this year, fighting for our children to have a good education so when they graduate they can either go on to college, technical or vocational school, and to have compassion for those who need our help when it comes to social services, because my district has many economic and social needs. I look forward to working with Mayor Bogen and everyone on the Commission and to give Broward County, my best nothing less,” said Vice Mayor Holness.